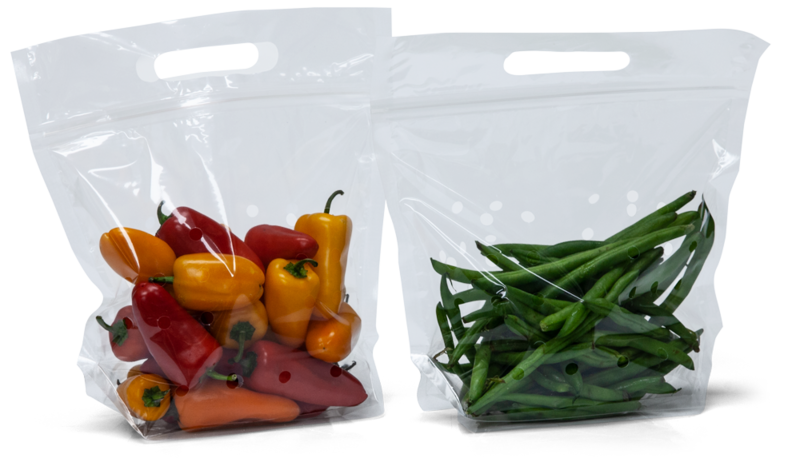 W x H + Gusset: 9.5" x 10" + 4"
9.5 x 10 + 4 bg Vented Poly Produce Bags are crystal clear polypropylene bags that give a clean eats appearance for your fruits and vegetables. 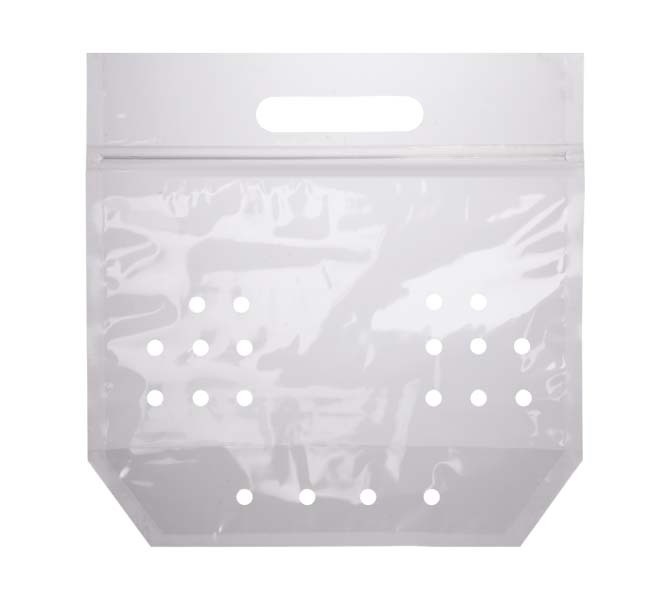 These vented ziplock bags have a resealable zipper and an easy carry handle. 2.5 mil Vented Produce Bags meet all FDA and USDA requirements for food contact. Great for the farmer's market, country store and roadside stands.